I?m up late admitting patients to the inpatient hospice unit. Just when I think I?m too old for these late nights without sleep, a person in all their rawness, vulnerability and pain lays before me and as my hands explore the deep wounds in her chest and my ears open to her words, my heart cracks open once again . . . and this night a sweet 36-year-old woman with her wildly catastrophic breast cancer speaks of her acceptance and her hope for her children, and she speaks with such authenticity and authority. And her acceptance comes to me as the deepest humility a person can experience and then again, once again, I remember why I stay up these late nights and put myself in the company of the dying. The words of the palliative care physician, Dr. Gary Pasternak, exemplify the compassion and commitment that is essential for those who care for dying people. The skillful and kind care of those who are dying is about actualizing compassion for self and other and about endeavoring to reduce or end the ? ?total pain?? and suffering that is often experienced by those who are dying and those who survive as well as those who give care, including family and professional caregivers. The term ? ?total pain?? refers to physical, psychological, social, and spiritual pain and is a term that was coined by the founder of Hospice, Dame Cicely Saunders. Saunders wrote ? ?I realized that we needed not only better pain control but better overall care. People needed the space to be themselves. I coined the term ?total pain,? from my understanding that dying people have physical, spiritual, psychological, and social pain that must be treated. I have been working on that ever since (2.).?? and social pain and suffering of dying people and caregivers, and is based on a compassionate response to total pain. as the value of compassion in supporting caregiver resilience. Finally, the article explores some categories of compassion that might deepen our understanding of the richness in the expressions of compassion. First, let us look at five core challenges that affect caregiver well-being, including burnout (cumulative work demands and stress), secondary trauma (dysfunction from prolonged exposure to the pain and suffering of others), moral distress (caregiver knows what is right to do; cannot act on it), horizontal hostility (behavior that controls, devalues, disrespects, or diminishes another peer or group), and structural violence (systemic discrimination against an individual or group). In the case of those who work with the dying, these five core challenges are compounded by the possible denial of death; the angst around pain, suffering, and death; the inability to discuss interventions and death; the inability to communicate about stresses in caregiving; workaholism, self-neglect, and perfectionism; guilt for avoiding or abandoning the dying individual; engaging in negative cognitive appraisal; and moral conflicts and distress. Caregivers also can experience a sense of futility that arises from patient demands, institutional demands, clinical errors, feelings of inadequacy, and interventions not benefiting patients. According to Krasner et al., (3.) in a recent article in Journal of the American Medical Association, up to 60% of practicing physicians report burnout symptoms, which include emotional exhaustion, depersonalization (treating patients as objects), and a low sense of accomplishment. Krasner et al., go on to note that physician burnout is linked to poorer quality of care, including patient dissatisfaction, increased medical errors, lawsuits, and a decreased ability to express empathy. These studies challenge us in how to address caregiver suffering: What are some relevant spiritual and contemplative perspectives and practices that might give relief to caregivers and foster greater resilience and compassion in those who care for the dying? I think it is good to begin with the question of what we mean by the term ??spirituality?? because compassion and spirituality are often felt to be related. In 1997, Gallup (4.) did a survey on Americans? views of death and dying. In that report, it was quoted that ? ?American people want to reclaim and reassert the spiritual dimensions of dying.?? Spirituality is indeed integral to a dying person?s realization of the developmental task of transcendence and to caregiver values and behaviors. Moreover, spirituality is a deeply personal matter. In a report by Puchalski, et al., (5.) the word spirituality was explored by a group of 40 professionals in the end-of-life care field. The consensus was that ? ?Spirituality is that aspect of humanity that refers to the way individuals seek and express meaning and purpose, and experience their connectedness to the moment, to self, to others, to nature, to the significant, or sacred.?? His Holiness the Dalai Lama (6.) has defined spirituality in the following way: ? ?Spirituality addresses qualities of the human spirit that include love, compassion, patience, tolerance, forgiveness, a sense of responsibility, which bring happiness to self and other. It as well includes a basic concern for the well-being of others. And it has an emphasis on contemplative practices cultivating ethics, stability, and prosocial mental qualities.?? The Mayo Clinic (7.) in Rochester, Minnesota, states ? ?Spirituality is an integral dimension of compassionate care and an important aid to healing for patients, their families, and caregivers.?? The University of Virginia Medical School (8.) says that ? ?A good practice of medicine depends upon physicians? awareness of both their patients? and their own spirituality.?? Part of being aware of one?s own spirituality is to have a spiritual practice such as prayer, meditation, or a contemplative practice. The contemplative dimension is somewhat different than the spiritual dimension but is interrelated. The world?s contemplative traditions, for example, encompass shared wisdom in moral and ethical virtues and values as well as reflective practices that cultivate the mind. It is the cultivation of the prosocial mental quality of compassion that is the primary subject of this article. vivid, stable, effortless, and nonjudgmental attention (the base of presence and executive control), and cognitive control, which is defined as the ability to guide thought and behavior in accord with one?s intention and emotional balance. 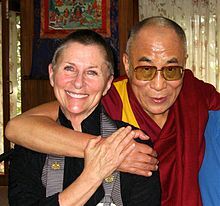 The training also includes insight practices; practices that assist caregivers in presencing pain and suffering; practices that develop prosocial mental states (kindness, compassion, sympathetic joy, equanimity, altruism, and empathy); imaginal processes that track the psychophysiological aspects of dying; and open presence (panoramic nonjudgmental attention). Key to this curriculum is an introduction to different meditative practices. a specific way, that is, in the present moment, and as non-reactively, as non-judgmentally, and as openheartedly as possible.?? Mindfulness is an increasingly more frequent meditation that is used in teaching compassion. Mindfulness is associated with self-reported positive affect, (10.) less anxiety and depression, (10.-12.) greater relationship satisfaction and less relationship stress, (13.) and specific profiles of brain activity associated with greater emotion regulation during affect labeling (14.). All these qualities form a base wherein compassion can unfold.We have seen through research, as well as our direct experience, that mindfulness is a process making the regulation of emotion possible. It creates a stable mental state where insight about the distinction between self and other is possible, without which we would experience empathic over arousal and move into personal distress. Over arousal leading to personal distress would inhibit healthy compassion. Thus, mindfulness is an essential component of compassion (15.). Mindful and compassionate caregiving entails listening with full attention, emotional awareness and self-regulation while caregiving, prosociality and positive regard for self and other, the ability to prioritize and be attuned to one?s surroundings, and bringing compassion and nonjudgmental acceptance to interactions (16-18.). To support these qualities, clinicians and caregivers need to value well-being, insight, compassion, and self-respect. They as well need to recognize challenges and stress. The commitment to physical, emotional, mental, spiritual, and relational balance is essential. And finally, caregivers need to engage in strategies supporting compassionate action toward the dying person, community, colleagues, and self. In the extensive neuroscience research on meditation being done around the world, mental training has demonstrated that some meditative practices foster an increased ability to be attentive and have emotional balance and control over thoughts and behaviors. They also lead to greater stress reduction, enhanced immune responses, and decreased inflammatory responses. The three main types of meditative techniques currently studied in various neuroscience labs include Focused Attention (Concentrative) Meditation, Open Presence (Receptive) Meditation, and Compassion Meditation (19.). In this article, we concentrate on research on empathy and compassion. Neuroscientists Klimecki and Singer (20.) found that a capacity to be aware of one?s own visceral processes is related to empathy. Our ability to read our body?s visceral experience, for example, sensing our heartbeat, our digestive processes, and so forth, appears to prime us to be able to feel into the experience of another. Singer?s work on empathy was enriched by her investigation of alexithymia. Those who suffer from this disorder have impaired interoceptive awareness, which is linked with a deficit in the capacity for empathy. Empathy is a building block of compassion. This of course has some interesting implications in the health care field, where caregivers can be burned out, out of touch with the body, and essentially numb. and relax the body, so the reflective dimension of the mental experience can be fostered. When mental stability is present, then the practitioner can proceed to deconstruct the ego through compassion practices that can lead to a nonreferential or unbiased orientation. Lutz et al., (21.) at the Keck Laboratory in Madison, Wisconsin, mounted research experiments comparing adept meditators (with 10,000 plus hours of meditation practice) with novice practitioners. There were a number of results that were quite interesting. First, areas of the brain associated with emotion sharing and empathy, particularly the anterior insula and anterior cingulate cortex, were shown to be activated during compassion meditation in response to emotionally charged sounds (i.e., baby cries, screams) in both adept and novice meditators. The advanced meditation practitioners had greater activation of these areas as well as the somatosensory regions of the brain associated with body sensations and interoception. Lutz et al., (22.) also saw that compassion meditation increased emotional cardiovascular arousal in experienced meditators but not novices. Identified was neurovisceral coupling of the brain and heart, where there was an increase in heart rate that was linked with the activation of brain regions during compassion meditation. This was found in only the adepts. The left insula cortex, associated with empathy and response to strong emotions such as love and disgust, was activated, as was the premotor cortex, associated with the intention to act or move the body, and the somatosensory region, associated with body sensations and interoception. There was also significant activation of the temporoparietal junction, which is associated with the capacity to distinguish between self and other, and in perceiving the mental and emotional states of others. Both the insula and temporoparietal junction are linked to emotion sharing and empathy. According to Richard Davidson, the Director of Madison?s Keck Laboratory, the combination of these two effects was much more noticeable in the expert meditators as opposed to the novices. Singer et al., (23.) note that there is accumulating evidence that highlights a crucial role of the insular cortex in feelings, empathy, and processing uncertainty in the context of decision making. In the experiment at Keck Laboratory, Lutz noted that expert meditators had greater activity in the left prefrontal cortex, which is active in positive emotions such as happiness, and that this overshadowed activity in the right prefrontal area, which is more active in negative emotions and anxiety (24.). This explains some studies that showed that people who are compassionate also have less depression and greater satisfaction. psychosocial stressor, compared with the low practice and control groups. We can summarize these results on compassion meditation research in the following ways. Compassion meditation appears to specifically enhance brain-heart communication and resonance (in other words, heart rate variability or ? ?vagal tone?? and emotion response/regulation; the vagus carries information between brain and heart, and the pattern of variability in heart rate provides an indication of the nature of a person?s emotional response and their ability to regulate emotion). Positive emotions and integrative brain electrical activity (gamma) also are increased, as is brain response in related regions to emotional stimuli, and there is a reduction of inflammatory and negative mood response even after relatively brief meditation practice. Thus, there is evidence for the power of compassion meditation to produce positive emotional states and neural integration as well as enhanced biological immune responses. Certainly, the practice of compassion meditation has significance for clinicians but might have interesting benefits for patients as well. We can then ask, what do clinicians and caregivers need to do to engender empathic concern and compassion? Note that in looking at these data, we begin to put together a simple equation with regard to some of the elements that comprise compassion. They include the ability to be interoceptive (somatic awareness), which can prime for empathy. Empathy, positive regard for others, kindness, and insight form a basis for empathic concern or compassion. In the 1980s, the social psychologist Batson et al., (26.) noted that there were two distinct emotions that motivate people to help others. The first was termed empathic concern. They reported that empathic concern is another focused congruent emotion that is produced when an individual witnesses another?s suffering. This experience of concern is accompanied by feelings such as tenderness, sympathy, or compassion. Batson et al. called the other emotion personal distress. The focus here is on one?s self and is prompted by the need to relieve one?s own uncomfortable feelings in response to the perceived suffering of others. Since the pioneering work on altruism and empathy by Batson et al., we have learned that it is essential to nourish two qualities in order for there to be healthy empathic concern and compassion. First is the ability to be self-aware, in other words to know/sense/feel what is happening in the body/mind, as we encounter the suffering of another. Somatic sensitivity mirrors the process by which we also can sense into the experience of another. As well, it signals us when we are going into an over aroused state and are about to experience personal distress. Through our sensitivity to what the body is saying, we can choose to down regulate our arousal level. Mindfulness is key here, for it allows us to be aware of what is going on in our body/mind. Through the experience of emotion regulation facilitated by mindfulness and a metacognitive perspective, an individual can more easily differentiate between self and other, the second ability that is important in cultivating healthy empathic concern or compassion. Otherwise, the physiological activation of shared experience can lead to burnout, secondary trauma, or moral distress. More recently, Eisenberg, (27.) another social psychologist, elaborated on the work of Batson et al. She has noted that empathy or emotional attunement, combined with perspective taking or cognitive attunement, plus memory, combine to give rise to an arousal level that is sufficiently uncomfortable that one feels motivated to ??do?? something to alleviate the suffering of the so-called ? ?object of awareness.?? If the arousal level is not regulated, then the subject experiences ? ?personal distress,?? which leads to selfish prosocial behavior or avoidance behaviors. In other words, one can feel acutely distressed about the suffering of another and engage in behaviors that appear to be helpful to the suffering person, but if he or she is motivated, consciously or unconsciously by the need to reduce his or her own distress, this is then a selfish prosocial behavior arising from personal distress. Our own observation is that personal distress can lead to the three common fear responses of fight (moral outrage), flight (abandonment), or freeze (numbing). insight about suffering, its origins, and how to transform suffering. This is a portion of a letter sent to me by a physician who had just gone through the training in contemplative care of the dying at Upaya Institute. Our doctor recalls a recent encounter in the emergency department with an elderly woman. She writes about her experience of inflicting pain while trying to save the patient?s life. I entered a room with an elderly woman on a gurney. She was stricken in pain and in extremis. I grabbed a towel, as she was in the throes of diaphoresis and wiped her chest. We visited and began to figure out her chest pain. The monitor showed a heart rate of 200, blood pressure 110. She was fully awake. She needed medication. In the next three minutes, her pressure was 60, [and] awake but going out, she was going to arrest. There is no medicine to be given at this point. Pain meds will guarantee an arrest. In a split second, I had to make the call. She needed to be shocked; she was awake. In this second, I felt an absolute confluence between precepts, delivering an exquisitely painful intervention to save her life. Oh no, I thought. This has to be done. I apologized to her. I leaned over her face and spoke right into her eyes. I am sorry, this is going to be painful but we have to shock your heart. The stone in my stomach grounded my heels. I looked at the nurse; ok shock at 100. She pulled up her knees and screamed as though she was from a distant land. She cried out with great intensity. The pressure improved. She was back. We stabilized her, she did fine. She never received a dose of morphine. I asked her a minute later if she had any pain. She said no I feel much better doctor. Good I said. Hmmm. When you inflict pain on somebody while awake, it causes quite a transformative edge. Sure, doctors do this all the time. It is big, it is small. It was a new level of bearing witness. In this instance, my cognition was on pause. I was fully present for the shock. When the paddles discharged, my mind went to that moment at the end phase of the dissolution process when you, Roshi, took us back into the personality. You said ok when you open your eyes don?t focus, be present but don?t focus. I did not focus. Every ounce of her pain went through me. It was very intense but it was all ok. No issues and so it was. The mind is incredibly capable of handling traumatic events if prepared! There was noempathic over-arousal. You shape shift a bit and open every fiber of your being for them; mind still, mind still. These teachings are crystal clear in value. I have to study them in depth. Traumatic situations happen all the time. This is the gentle handling the hardest. No song, just mindfulness. Full bow in honor of all that is. Is All Compassion the Same? Finally, we need to ask if there are different types of compassion. From the perspective of traditional Buddhism, for example, two main streams of compassion are identified: referential compassion and nonreferential compassion. Referential or biased compassion is compassion that has an object. Nonreferential or unbiased compassion is compassion that has no object. Referential compassion has a number of subcategories. These include biologically based compassion, which includes instinctual compassion (the parent/child bond); unripened compassion, where compassion is present but compromised (unwanted infant); and attached compassion (existing in the case of family members or through a sexual bond). Reasoned compassion has two subcategories: The first is ethically based compassion, where compassion is a moral imperative. The second category is conceptually based compassion, where the subject has a profound insight into the nature, interdependence, nonduality, cause and effect, and selflessness. free ourselves from any thought as to the outcome of our actions, as we cannot really control what happens, but we do our best; we wish for the best. In Buddhism, there are so-called near and far enemies of compassion. The far enemy is cruelty. This enemy is easy to detect. But the near enemies of compassion are often difficult to recognize. They include fear, grief, pity, anxiety, and righteous anger, all expressions of personal distress. The so-called ? ?near enemies?? can drain or destroy us. Thus, we must look truthfully at our own experience and see if our response to suffering is healthy; we then evaluate our choice in how we are responding and let go of blame and judgment. As caregivers, we encounter many, as Pasternak notes, who trigger those cracks in our heart and open us once again to suffering. Our work as caregivers of those who are dying is never to deny the truth and presence of suffering, impermanence, and death. As we are touched by these realities of existence, we realize that compassion is a moral, social, psychological, and spiritual imperative. But to do this work, we need to focus attention on our own spiritual resources to support our work. That is why caregivers should have a spiritual practice such as compassion meditation to have the strength and perspective to acknowledge the pain and suffering in others and ourselves and develop an appropriate and transformative relationship to suffering through insight and the regulation of our emotions. This is a profound path for those who care for the dying. It is the path that the great healers and teachers of the past have walked. And it is a path of sanity that clinicians and caregivers can discover, day after day, as they care for the dying. It is also beneath the feet of every human being. Fortunately, we live in a time when science is validating what humans have known throughout the ages: that compassion is not a luxury; it is a necessity for our wellbeing, resilience, and survival. May we see into the life of things, and may we have the courage to actualize compassion in our lives for the benefit of all those who suffer. Gratitude to Drs. Alfred Kaszniak and Susan Bauer-Wu for assistance in the interpretation of neuroscience content in this article, Drs. Tony Back and Cynda Rushton for collaboration on the Professional Training Program on Contemplative End-of-Life Care, the Upaya Institute, Ann Down and John and Tussi Kluge, and the Hershey Family Foundation for funding my work in the end-of-life care field, and the Mind and Life Institute, Dr. Richard Davidson, Adam Engle, and Francisco Varela for introducing me to the neuroscience of compassion. 1. His Holiness the Dalai Lama. Mind and life meeting. Presentation in Dharamsala, India, 1992. 2. Field B. Science hero: Dame Cicely Saunders. 2006. Available from http://www.myhero.com/go/ hero.asp?hero?Cicely_Saunders_06. Accessed September 21, 2010. 3. Krasner MS, Epstein RM, Beckman H, et al. Association of an educational program in mindful communication with burnout, empathy, and attitudes among primary care physicians. JAMA 2009; 302:1284e1293. 4. George H Gallup International Institute. Spiritual belief and the dying process: A report on a national survey. Conducted by Gallup International Institute for the Nathan Cummings Foundation and the Fetzer Institute. New York: Nathan Cummings Foundation, 1997. 5. Puchalski CM, Ferrell B, Virani R, et al. Improving the quality of spiritual care as a dimension of palliative care. The report of the consensus conference. J Palliat Med 2009;12:885e904. 6. His Holiness the Dalai Lama. Ethics for the new millennium. New York: Riverhead Books, 1999. 7. Mayo Clinic, St. Marys Hospital. Sponsorship Board, Inc. Available from http://www.mayoclinic. org/saintmaryshospital/sponsorshipboard.html. Accessed September 21, 2010. 8. University of Virginia Health System, Center for Biomedical Ethics & Humanities. Spirituality and medicine curriculum. 2005. Available from http:// www.healthsystem.virginia.edu/internet/him/spirituality.cfm. Accessed September 21, 2010. 9. Kabat-Zinn J. Coming to our senses. New York: Hyperion, 2005. 10. Brown KW, Ryan RM. The benefits of being present: mindfulness and its role in psychological well-being. J Pers Soc Psychol 2003;84:822e848. 11. Baer RA, Smith GT, Hopkins J, Krietemeyer J, Toney L. Using self-report assessment methods to explore facets of mindfulness. Assessment 2006;13: 27e45. 12. Baer RA, Smith GT, Lykins E, et al. Construct validity of the five facet mindfulness questionnaire in meditating and nonmeditating samples. Assessment 2008;15:329e342. 13. Barnes S, Brown KW, Krusemark E, Campbell WK, Rogge RD. The role of mindfulness in romantic relationship satisfaction and responses 152 Halifax Vol. 41 No. 1 January 2011, to relationship stress. J Marital Fam Ther 2007;33: 482e500. 14. Creswell JD, Way BM, Eisenberger NI, Lieberman MD. Neural correlates of dispositional mindfulness during affect labeling. Psychosom Med 2007;69:560e565. 15. Decety J. A social cognitive neuroscience model of human empathy. In: Harmon-Jones E, Winkelman P, eds. Social neuroscience: Integrating biological and psychological explanations of social behavior. New York: Guilford Press, 2007: 246e270. 16. Epstein RM. Mindful practice. JAMA 1999;282: 833e839. 17. Connelly JE. Being in the present moment: developing the capacity for mindfulness in medicine. Acad Med 1999;74:420e424. 18. Connelly J. Narrative possibilities: using mindfulness in clinical practice. Perspect Biol Med 2005;48:84e94. 19. Lutz A, Dunne J, Davidson R. Meditation and the neuroscience of consciousness. In: Zelazo P, Moscovitch M, Thompson E, eds. The Cambridge handbook of consciousness. New York: Cambridge University Press, 2007: 499e545. 20. Klimecki O, Singer T. Empathic distress fatigue rather than compassion fatigue? Integrating findings from empathy research in psychology and social neuroscience. In: Oakley B, Knafo A, Madhavan G, Wilson DS, eds., Pathological altruism. New York: Oxford University Press. In press. 21. Lutz A, Brefczynski-Lewis J, Johnstone T, Davidson RJ. Regulation of the neural circuitry of emotion by compassion meditation: effects of meditative expertise. PLoS One 2008;3:e1897. 22. Lutz A, Greischar LL, Perlman D, Davidson RJ. BOLD signal in insula is differentially related to cardiac function during compassion meditation in experts vs. novices. Neuroimage 2009;47:1038e1046. 23. Singer T, Critchley HD, Preuschoff K. A common role of insula in feelings, empathy and uncertainty. Trends Cogn Sci 2009;13:334e340. 24. Lutz A, Greischar LL, Rawlings NB, Ricard M, Davidson RJ. Long-term meditators self-induce high-amplitude gamma synchrony during mental practice. Proc Natl Acad Sci U S A 2004;101: 16369e16373. 25. Pace TW, Negi LT, Adame DD, et al. Effect of compassion meditation on neuroendocrine, innate immune and behavioral responses to psychosocial stress. Psychoneuroendocrinology 2009; 34:87e98. 26. Batson CD, Fultz J, Schoenrade PA. Distress and empathy: two qualitatively distinct vicarious emotions with different motivational consequences. J Pers 1987; 55:19e39. 27. Eisenberg N. Empathy-related emotional responses, altruism, and their socialization. In: Davidson RJ, Harrington A., eds. Visions of compassion. Oxford, UK: Oxford University Press, 2002: 131e164. 28. Wordsworth W. Lines written a few miles above Tintern Abbey. In: Lyrical ballads. London, UK: J. & A. Arch, 1798.